The Cheetah (Acinonyx jubatus) known as the hunting leopard, is a big cat that occurs mainly in eastern and southern Africa and a few parts of Iran. The only extant member of the genus Acinonyx, it is placed in the subfamily Felinae. 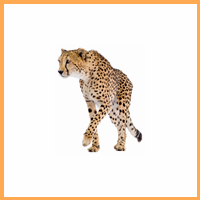 The cheetah is characterised by a slender body, deep chest, spotted pelage, a small rounded head, black tear-like streaks on the face, long thin legs and a long spotted tail. Its lightly built, thin form is in sharp contrast with the robust build of the other big cats. While it is taller than the leopard, it is notably smaller than the lion. Basically yellowish tan or rufous to grayish white, the coat of the cheetah is uniformly covered with nearly 2,000 black, solid spots. Cheetahs inhabit the desert, savannah, scrub, bush and open woodlands of Africa. 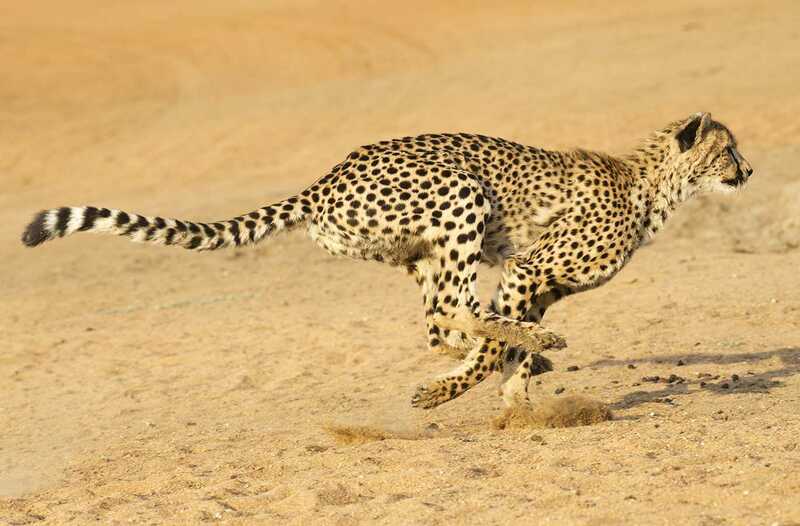 They stalk their prey to within 100–300 meters, The typical speed in a sprint is 113 km/h (70 mph), They can accelerate from 0 - 60 mph in only 3 seconds. The Pronghorn Antelope (Antilocapra americana) is a species of artiodactyl mammal indigenous to interior western and central North America. 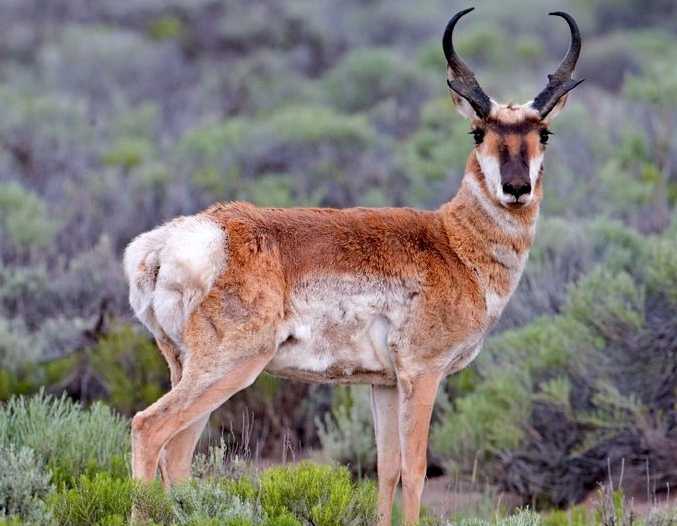 Though not an antelope, it is often known colloquially in North America as the prong buck, pronghorn antelope, or simply antelope because it closely resembles the true antelopes of the Old World and fills a similar ecological niche due to parallel evolution. It is the only surviving member of the family Antilocapridae. During the Pleistocene period, about 12 antilocaprid species existed in North America. They have a large heart and lungs which help them to go so fast. They can speed up to 98 km/hr (61 mph). The springbok (Antidorcas marsupialis) is a medium-sized brown and white antelope of southwestern Africa. It was first described by the German zoologist, Eberhard August Wilhelm von Zimmermann in 1780. Three subspecies have been identified. 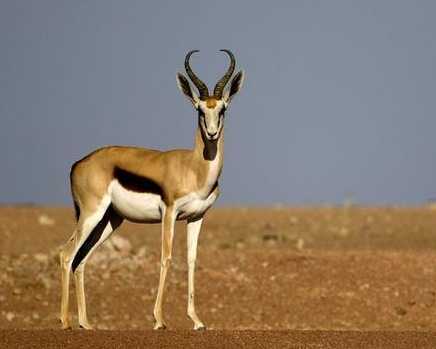 The springbok is a slender antelope with long legs and neck, and with horns present in both sexes. The springbok has a white head and face with dark stripes extending from a corner of the eyes to the corners of the mouth. They are extremely agile animals, they can leap 4 m into the air and jump up to 15 m in length. Speed up to 90 km/hr (56 mph). 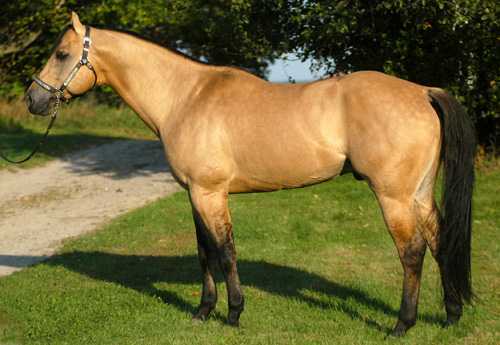 The American Quarter Horse is an American breed of horse that excels at sprinting short distances. Its name came from its ability to outdistance other horse breeds in races of a quarter mile or less; some have been clocked at speeds up to 55 mph (88.5 km/h). The American Quarter Horse is the most popular breed in the United States today, and the American Quarter Horse Association is the largest breed registry in the world, with almost 3 million American Quarter Horses currently registered. They excel at sprinting short distances. 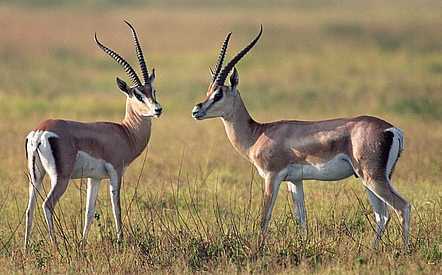 The Thomson's gazelle (Eudorcas thomsonii) is one of the best-known gazelles. It is named after explorer Joseph Thomson and is sometimes referred to as a "tommie". It is considered by some to be a subspecies of the red-fronted gazelle and was formerly considered a member of the genus Gazella within the subgenus Eudorcas, before Eudorcas was elevated to genus status. Thomson's gazelles can be found in numbers exceeding 550,000 in Africa and are recognized as the most common type of gazelle in East Africa.80 km/hr (50 mph) They have the ability to out last cheetah's in long chases and they can make swifter turns. The Blue Wildebeest (Connochaetes taurinus), also called the common wildebeest, white-bearded wildebeest or brindled gnu, is a large antelope and one of the two species of wildebeest. It is placed in the genus Connochaetes and family Bovidae and has a close taxonomic relationship with the black wildebeest. 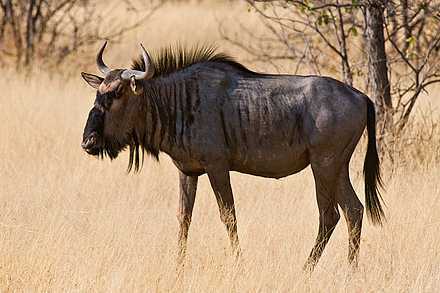 The blue wildebeest is known to have five subspecies. The adults' hues range from a deep slate or bluish gray to light gray or even grayish-brown. Both sexes possess a pair of large curved horns. 80 km/hr (50 mph) In order to defend themselves from predators, they run in large herds. The Lion (Panthera leo) is one of the big cats in the genus Panthera and a member of the family Felidae. Wild lions currently exist in sub-Saharan Africa and in India. In ancient historic times, their range was in most of Africa, including North Africa, and across Eurasia from Greece and southeastern Europe to India. In the late Pleistocene, about 10,000 years ago, the lion was the most widespread large land mammal after humans. 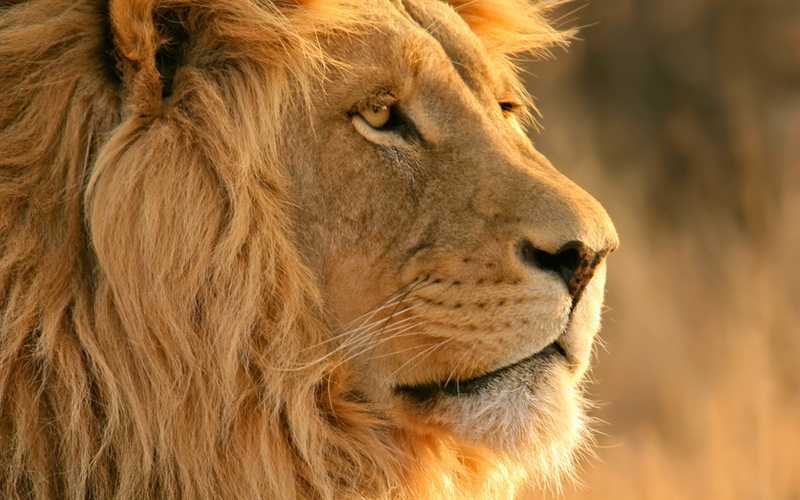 The lion is classified as a vulnerable species by the IUCN, having seen a major population decline in its African range of 30–50% per two decades during the second half of the twentieth century. Lions lack endurance and have to be close to their prey before they attack. In short bursts they can reach speeds of 80 Km/hr (50 mph). Hunting takes a lot out of them and they spend up to 20 hours per day resting. 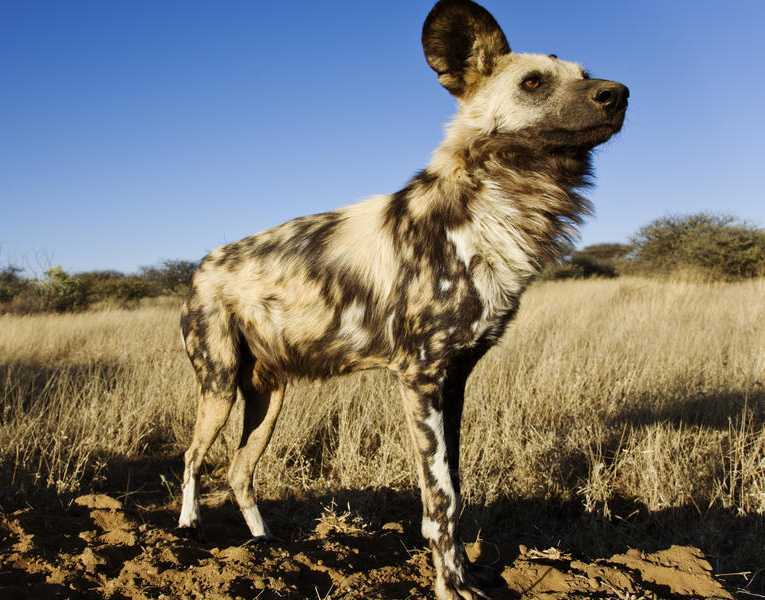 The African hunting dog or African painted dog (Lycaon pictus) is a canid native to Sub-Saharan Africa. It is the largest of its family in Africa, and the only extant member of the genus Lycaon, which is distinguished from Canis by its fewer toes and dentition, which is highly specialized for a hyper-carnivorous diet. It is classed as endangered by the IUCN, as it has disappeared from much of its original range. The current population has been estimated at roughly 39 subpopulations containing 6,600 adults, only 1,400 of which are fully grown. They are endurance runners and they can achieve an average speed of 48 km/hr (30 mph) over a distance of 4.8 kms (3 miles) highest speed 72 km/hr. The Coyote (Canis latrans) is a canid native to North America. 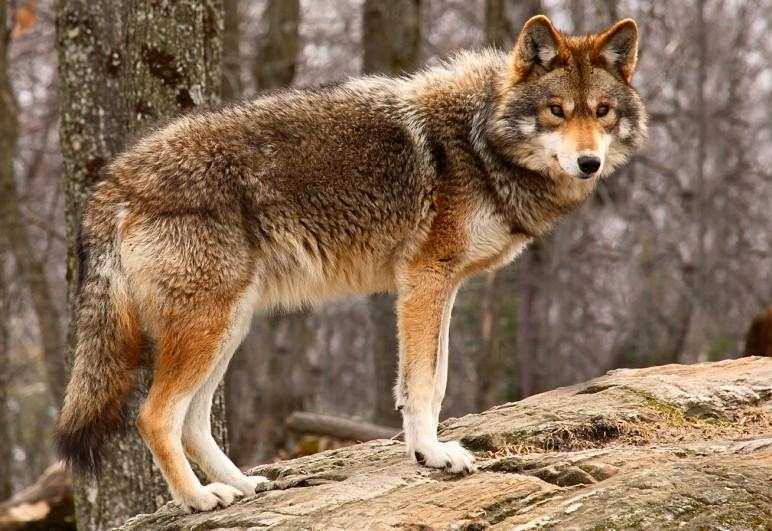 It is a smaller, more basal animal than its close relative, the gray wolf, being roughly the North American equivalent to the Old World golden jackal, though it is larger and more predatory in nature. 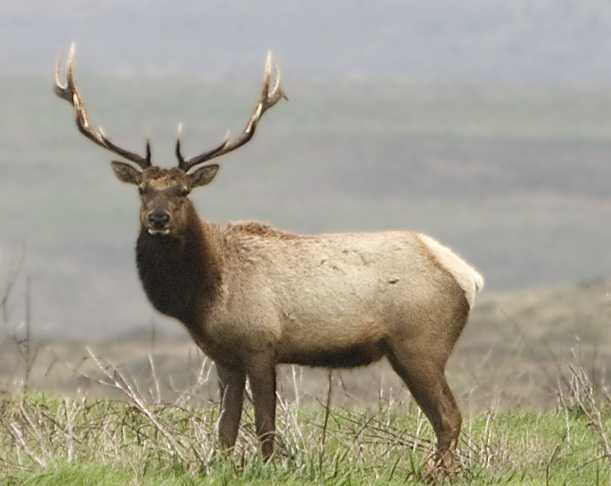 They reach up to 69 km/hr (43 mph) and use their speed to hunt rabbits, mice, squirrels and livestock.